3 and A Half Men are a local Rock and Roll party band from Halifax formed in 2011. 3 and A Half Men are not just a party band however, the band performs pub gigs, weddings, anniversary parties, charity events, leaving party's, surprise birthdays and many more. 3 and A Half Men do a variety of classic songs, from rock and roll, rock, punk, glam rock and many more. 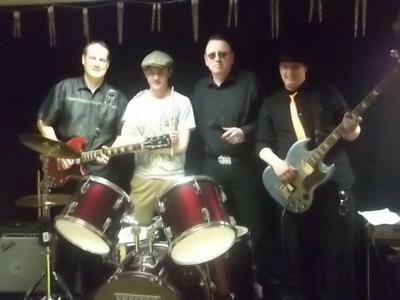 The bands songs range from the late 50's to the modern day with popular songs everyone will know and you will all enjoy. If you can’t sing or dance along to the songs, we don’t play them. The members of the band are singer/ frontman Martin Reppion, lead guitarist Alan Veal, Drummer Thomas Veal and bass player Scott Field. Superb band, we'll worth going to watch!